Ridesharing services like Uber and Lyft will finally be able to pick you up from LAX starting as soon as this summer, Mayor Eric Garcetti said during his State of the City speech on Tuesday night. 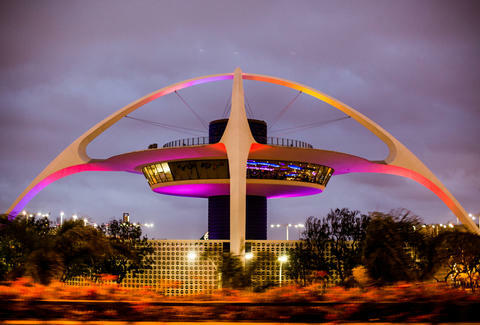 "Whether it is your daily commute, or getting to and from the airport, we have to make navigating this city more convenient for our residents," Garcetti said, according to a transcript of the speech in a report by KPCC. "So today, I’m announcing that by this summer, at my direction, ride-share companies like UBER and LYFT will be able to pick you up at the airport." This is huge news for anyone who is tired of trying to bribe your friend in Pasadena to come pick you up or paying infinity dollars to park your own car, as app-based ridesharing services are currently restricted to picking up a limited number of passengers at LAX, according to a report by the Los Angeles Times. Tony Merevick is Cities News Editor at Thrillist and wonders what's worse -- trying to get to and from NYC's airports or trying to get to and from LAX. Send news tips to him at tony@thrillist.com and follow him on Twitter @tonymerevick.